Sonoma County’s 2013 harvest season has turned the corner and headed down the home stretch. 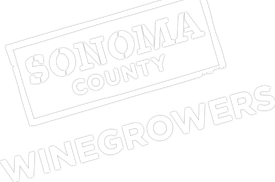 Current reports are showing that the region is approximately 85%-90% complete, with mostly Zinfandel and some Cabernet Sauvignon, Grenache, Pinot Noir, and Syrah still on the vines. Winegrowers anticipate harvest finishing up within the next week or two, which would put this year’s harvest about 3 weeks ahead of schedule compared to previous vintages.